Our 6 adventurers woke up really early to catch the sunrise and a breath of fresh air at the top of the Mont Laurier. 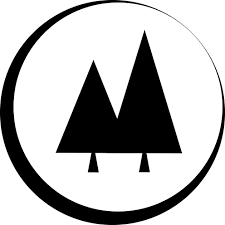 The mountain is located at the 50th parallel on the west part of the Eeyou Istchee Baie-James region in Matagami, a city with its amazing lakes. After the sunrise, everyone went to Matagami lake Ecolodges where warm welcomes and fun activities were organized with Pierre and his collegues. Let's discover the boreal forest! When you're with passionate and authentic people, it makes the experience so much better. Think outside the box and book your stay with les Ecogîtes du lac Matagami. Located in a boreal setting on the edge of this great enchanting lake, three log cottages and two yurts allow you to escape the urban frenzy and indulge in resourcing activities. 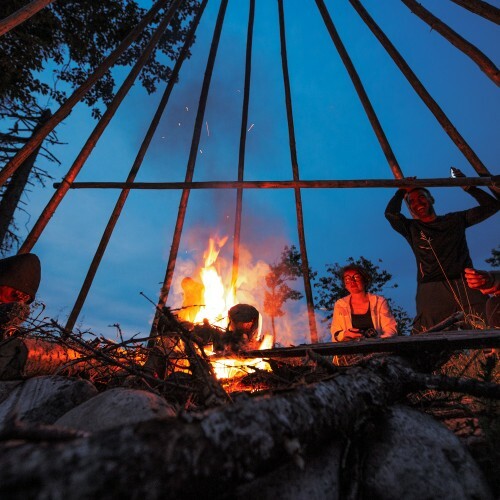 On the program: fire on the beach, hiking, paddling or relaxation in the nordic hot tub. Whether you're a passionate angler or hunter, an open-air enthusiast or just passing through our beautiful region, Matagami has a great deal to offer, including a wide range of activities for all tastes and interests.